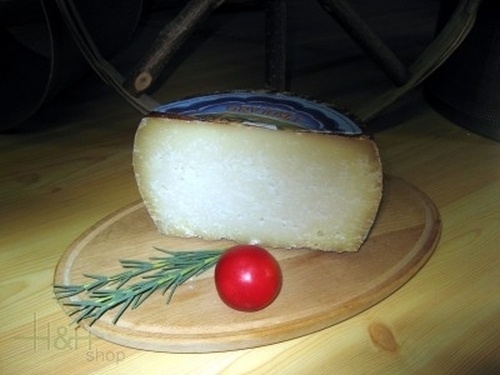 Sardinian sheep's milk cheese - Pecorino sardo "L'Isolano"
We offer to you here approx. 500 gr. (mostly a little bit more, we cut generously) of a real sardinian Pecorino. 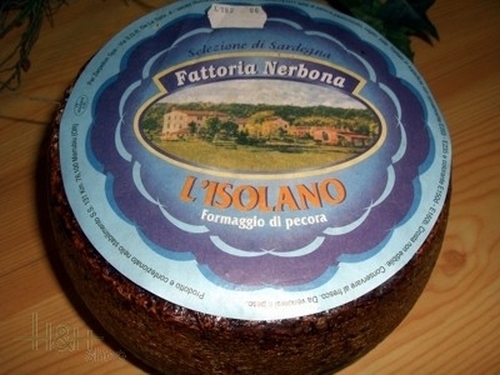 This Pecorino tastes excellently as "formaggio di tavola" to a good little glass wine, or as a melting / rub cheese to various dishes (pasta dishes, Pesto, ecc.). 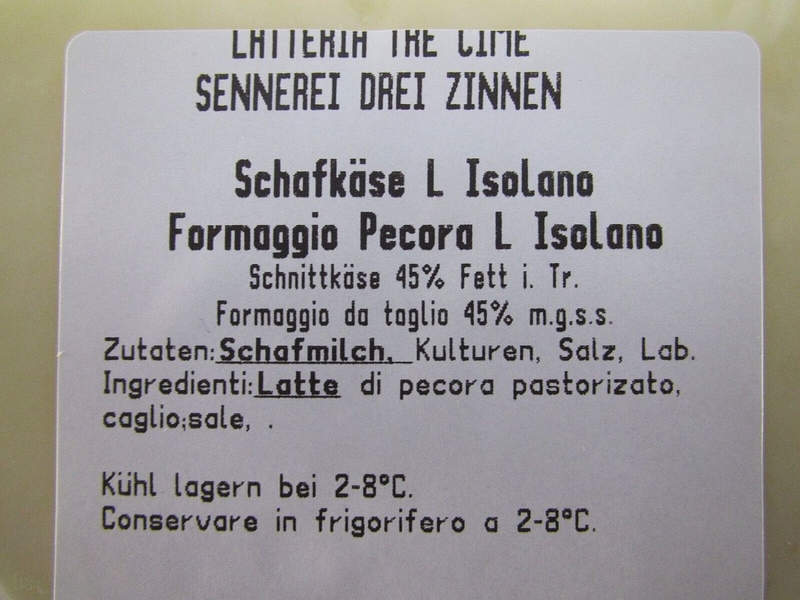 It is produced exclusively of unskimmed milk of sheep of this Italian area under addition of natural milk acid bacteria and calf's rennet. the taste this Pecorino is very spicy, in colour straw-yellow compact consistency, partially also with light punching, with a ripening period of 3 - 4 months. In the advanced ripe stage this Pecorino becomes in taste increasingly more spicy and more piquant, the structure becomes emery and harder, just those of a real grating cheese. 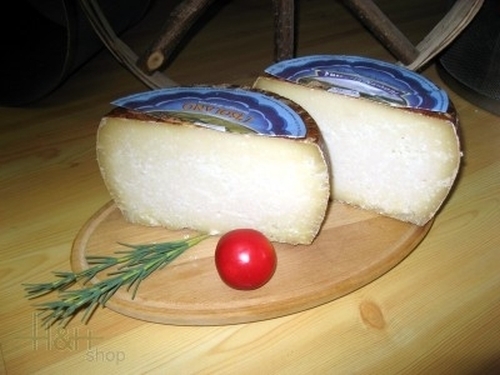 Buy now this product together with Pecorino Fiorino Gigante Dairy Il Fiorino approx. 500 gr. ready for shipment: in stock Pecorino Fiorino Gigante Dairy Il Fiorino approx. 500 gr. Pure pecorino\'s taste, more bright than classic continental sheep cheese. This is my favorite one. I order it several times and each time just perfect. Not bad, but without memorable taste - it\'s a good choice for breakfast. I don\'t think that i want to order this cheese again. Wonderful not ordinary cheese. With spicy taste. The cheese itself is of a good quality and taste. But my piece was as generous as 474g. Mozzarella di Bufala Campana 125 gr. - Ciresa 3,55 EUR / 2,84 €/100 gr. Tuma del Trifulau Cheese Beppino Occelli approx. 300 gr. 13,50 EUR / 45,00 €/kg. Taleggio D.O.P. Cheese Arrigoni approx. 500 gr. 14,80 EUR / 29,60 €/kg. Taleggio D.O.P. Cheese Arrigoni whole form app. 2 kg. 47,15 EUR / 23,58 €/kg.